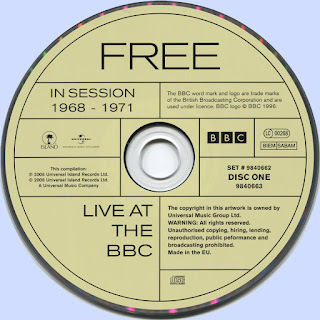 Free started their history with the BBC early in their career. They had only formed in April 1968 and yet by July they were recording their first session. Althoug only "Waiting On You" survives it shows the band in fine form playing the hard edged Blues boom sound from the period with incredible confidence. While Simon Kirke keeps the band anchored Andy Fraser )literally days after his sixteenth birthday) plays the bass like he was born with it hanging over his shoulder. Paul Rodgers sounds absolutely magnificent and Paul Kossoff is just blistering. It's quite a statement from a bunch of kids and predates any album work by some three months. A surviving "Sugar For Mr Morrison" from Alexis Korner's World Service "Rhythm 'n' Blues" tapes. Quite why only this track remains is unknown but its freedom jazz styling and unsusual format make it something of a revelation. Free certainly weren't scared to experiment, and Fraser's bass solo at the end was a sign of more virtuoso things to come from his talented player. The first full session to urvive comes from March 1969. This finds the band in fine form, not only using material from their debut album, released earlier the same month, but also their first single "Broad daylight" and a strong version of "Songs Of Yesterday", both used some seven months later on their second album. 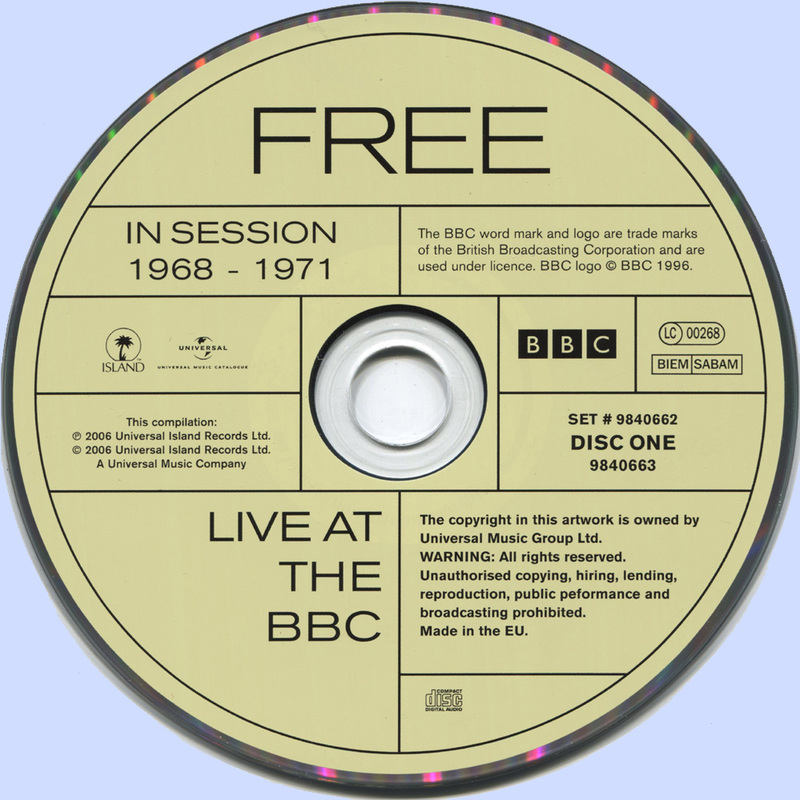 In this respect the BBC sessions are especially interesting as they chart the growth of a band that never stop developing. When a new song was ready it went straight into their set list. By the time their debut album "Tons Of Sobs" ewas released, it was already out of date. Free had already moved on, but were still experimenting. 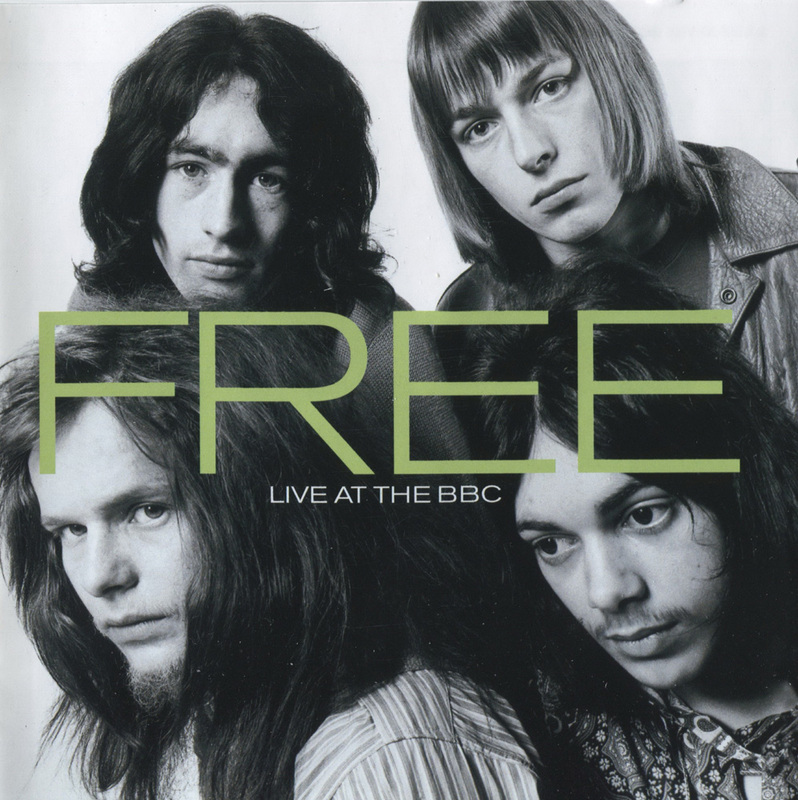 On this session we find everybody singing harmony vocals and some intrument swapping with Andy Fraser handling rhythm guitar while Paul Rodgers plays bass on "Broad Daylight". They were doing similar things in their early live sets too. 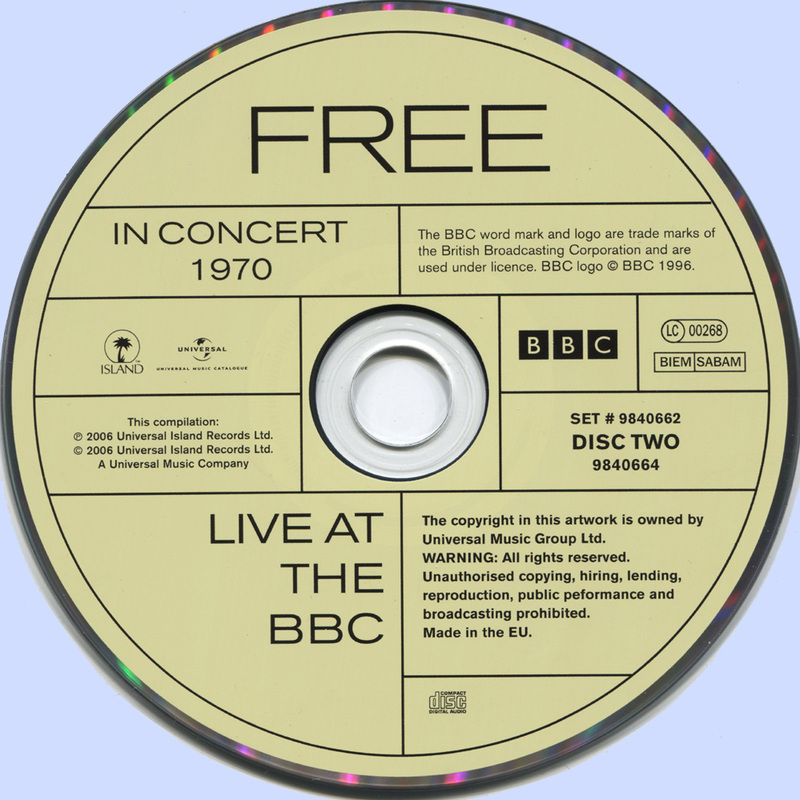 The first John Peel concert comes from "Off Air" recording kept by Jim Wilson, a fan who followed Free around England and held onto the recordings he made from the radio. 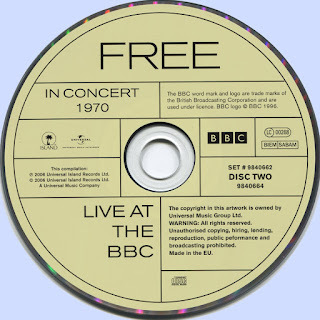 It's a short set of only four numbers and leans heavily on old favourites but provides a rare version of "Free Me" and an early version of "Remember:. A second longer John Peel concert in July 1970 kept with the new formula but again shoed the band moving on. Only weeks after the third album had gone into the shops they were introducing songs srom next album, "Highway". The band were now selling out huge venues off the back of the succes of "All Right Now" but still Free were pushing forward. There seemed little interst in promoting the current record, they were all about new songs and the next project. It was a relentless pace.